Hey there! How lovely that you've popped by to visit my website! A Boy & Bunting started out in early 2016 and has slowly but surely developed into the blog you see today. "Why the name a Boy & Bunting?" I hear you ask. Well.... It"s me, Matt Farci, a guy who loves all things crafty, creative, colourful and handmade. So the "Boy" part of the name is simply a representation of me, not your obvious face when it comes to your average crafting blog. As for bunting...what's not to love about bunting?! A symbol of celebration, vintage design and whimsical makes. It sums me up perfectly! 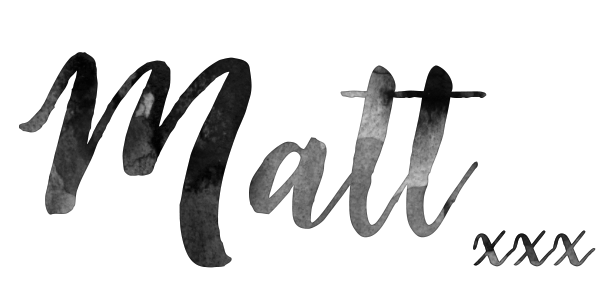 So...about me...I'm Matt, well, Matthew to be precise. Although, nobody really calls me that, except Mum and Dad when I've done something wrong. I love nothing more than to spend my free time painting, gluing, cutting and crocheting my days away. I have a passion for vibrant colours and fun makes, which means I've always got a project on the go and an idea or two swimming around in my head. I"m a dancer by trade and trained at the Rambert School of ballet and contemporary dance in London. Since graduating, I've been lucky enough to live and perform in some amazing European cities. I"m currently performing in "Disney's Musical Tarzan", in Germany. I've been with the show a little while now and am so proud of my development within the company. My main job is as a dancer/singer, I also cover the role of Terk, Tarzan's best friend. On top of that I'm also the "Aerial Captain", so that means I'm rehearsing the cast into all of the aerial aspects of the show, the show has a lot of flying so it keeps me busy to say the least. 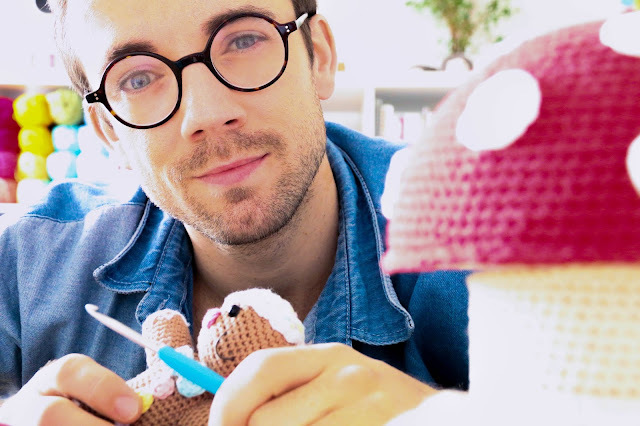 In my free time I love to blog, crochet and craft (but you know that already). I also love to take photographs and I get a huge amount of joy from photographing my creations, almost as much as I do making them! I love listening to good music and getting stuck into a book, my favourite being "The Secret Life Of Bees". 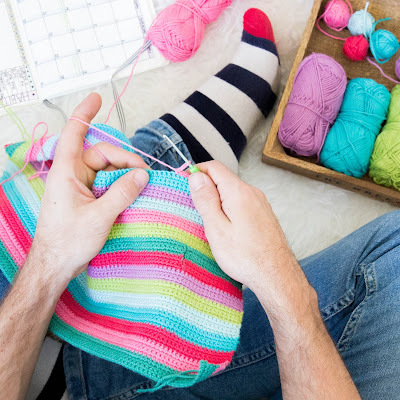 I've been blogging for some years now and am also the writer and creator of the blog "Crochet & Crafts According to Matt" which I started in Summer 2011. It's taken me a little second to find my feet with a Boy & Bunting, but I'm positively bursting with ideas and big ambitions for not only the blog, but also my creative journey. I'll be posting regularly here on the website, with new tutorials, interviews and frequent blogposts that are written in a fun chitty chatty style. I hope you pop back to visit and enjoy the creative bubbles I have to share with you. Super talented Dennis, pops up on the blog from time to time, so it seemed appropriate that you know a little about him also! Dennis is a keen crafter and can put his hand at anything he tries, knitting, crocheting, sewing.....he can do it all! For the past 15 years Dennis has been performing around the world as a singer, working in musical theatre in both Germany and his home country of The Netherlands. He has also travelled the world performing on Aida cruise ships. 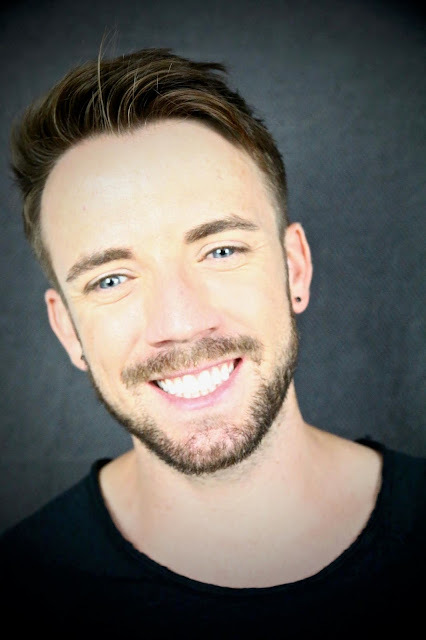 Dennis is now pursuing a new career venture and is currently living in Hamburg Germany, training full time as a nurse. 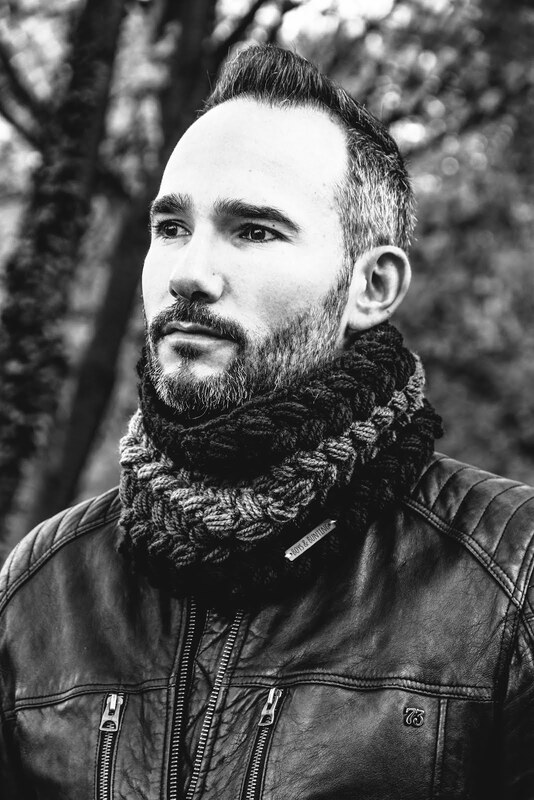 In his free time Dennis likes to work on his bullet journal, eat liquorice and design amazing crochet and knit wear. His fabulous patterns can be found on the pattern page and in the Boy & Bunting Etsy shop.